The Husky is a great all around utilitarian aircraft. It can be put on wheels, skis, straight floats, or amphibious floats. 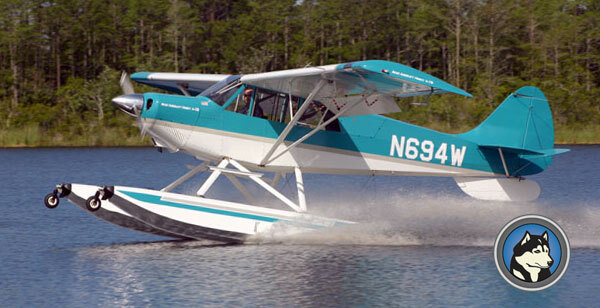 Amphib's offer the best of all worlds - the Husky has a very impressive short field takeoff and landing performance for backcountry flying, and this translates well to seaplane takeoffs and landings. Also, the Husky's very modern Garmin avionics allow the pilot to shoot instrument approaches when the weather has deteriorated. 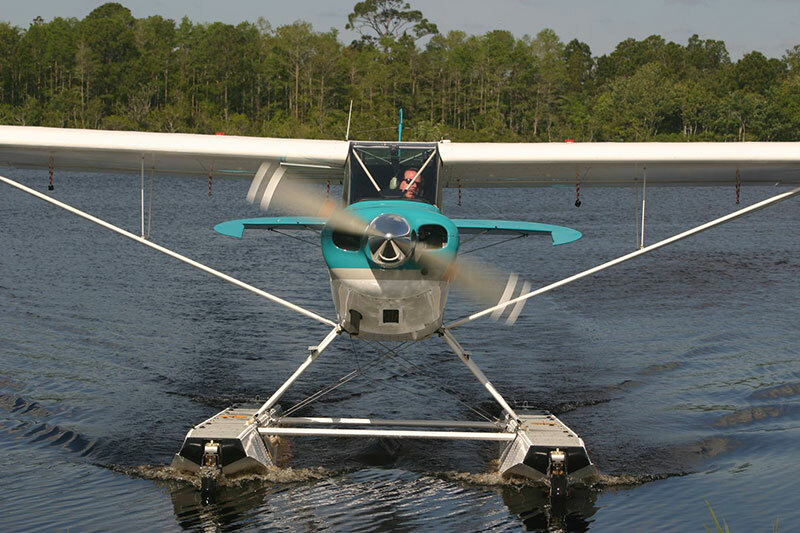 This makes this aircraft a great trainer for Private, Commercial and ATP add-on Seaplane ratings. The icing on the cake - since our Aviat Husky is an Amphibian, it qualifies as a complex aircraft, giving you even more bang for your training dollar. 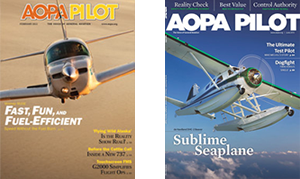 Read more about our combined seaplane ratings courses.